My goal is to offer ideas, tips, suggestions, recommendations and inspirations on how to decorate for less, but look like you spent a lot :) As an Interior Decorator, I tell my clients that the most important key ingredient is that you love the item(s) and to make any space personal. I've never been a fan of "matchy matchy" furniture or accessories. Think outside the box and be eclectic - let your space reflect your personality. 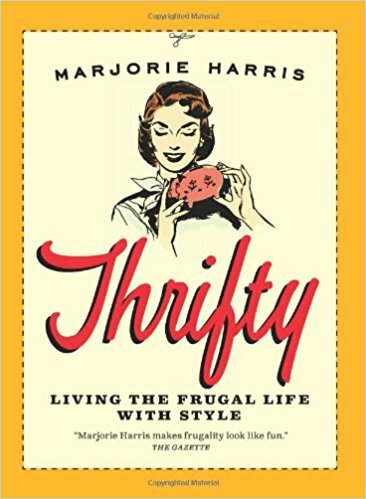 Happy frugal decorating! Does your home (or office) need a little style transformation? Just because you are low on cash (or don't want to spend any money) doesn't mean your home decor has to look old and stale. If you are willing to do some projects, the possibilities are endless. Open your mind to some creative ways of updating and creating new surroundings. 1. Re-arrange the furniture - this is one of the most effective ways to alter your space. Before you start moving heavy furniture around, either visualize it in your head or draw up a simple floor plan layout. Don't worry if you hate it, you can always move them around again. Bonus: you get to clean and sweep under the furniture. 2. 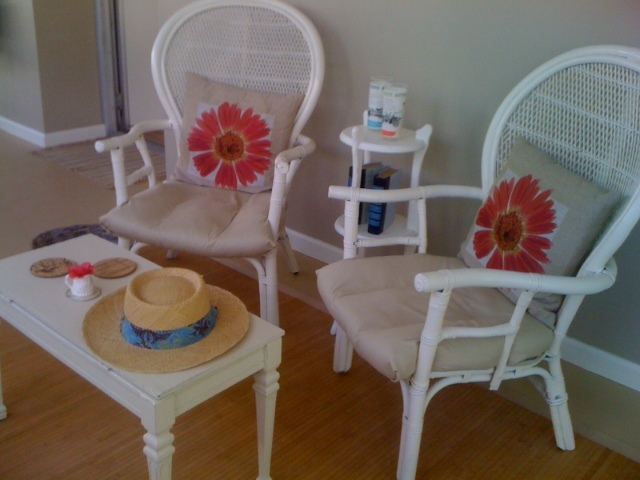 Refinish furniture - give existing furniture a new lease on life - with paint or stain. Make sure to clean and sand each piece prior to applying paint or stain. 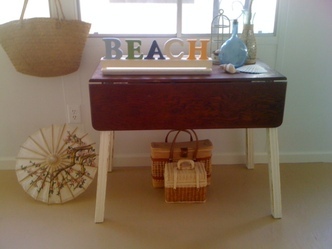 For a vintage chic distressed look, use sand paper on the edges after the paint has dried. 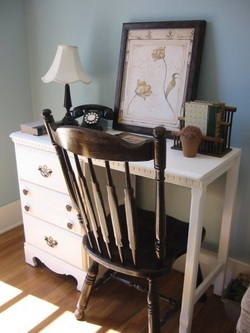 The photo shows a desk I painted and a chair I sanded then stained, both of which I found curbside! 3. Move pillows around - if you've got several decorative pillows like I do - see how they look on the bed vs. the couch (or vice versa). You can also purchase inexpensive pillow covers to update an existing pillow. Or if you have any fabric lying around, use it to cover old pillows for a fresh, new look. 4. A new rug - invest in a fabulous new rug for your living room or bedrooms. I recently added a jute-like rug under my coffee table in the living room. This was a small addition, but it completely transformed the look of my living room! Check out stores like Home Goods, Target and Amazon for inexpensive area rugs. 5. New photo frames - update photos by putting them in new frames. You can get nice cheap frames at discount home stores or freshen up existing ones with spray paint. This will also give your "new" frames uniformity. Arrange the frames with small decorative items for an interesting display. 6. Fresh flowers or succulents - if you have a garden with flowers or succulents (like I do), snip off a small arrangement and put them in small vases (or glasses) around the house. Make sure to water them or change them out when needed. 7. Organize with baskets - not only are baskets decorative, but they are also a great way to organize everything from magazines, books, blankets, etc.. plus they keep things tidy in your home. Baskets come in all shapes and sizes. I've acquired most of my baskets from thrift stores and yard sales. 8. Paint those walls - paint from your local hardware store is relatively cheap, especially if you score some unwanted or rejected cans of paint. I've purchased some "oops" paint from Home Depot for as little as $5/gallon. If you aren't happy with the color, you can mix it with other color(s) until you get your desired shade. A newly painted space transforms a room in dramatic ways. 9. Wash curtains, slip covers, etc - it's amazing how refreshing clean draperies, or sofa cushion covers can be. Make sure to dust off and shake off any dirt, etc.. outside before throwing them in the washer. 10. New curtains - if your window coverings are beyond shabby even after you wash them (as suggested above), it's time to buy new curtains. I buy most of my store bought curtains from Target, they have a great selection. For a new look without spending money on thicker panels, add inexpensive sheers to existing curtains, by placing them in between 2 existing panels. 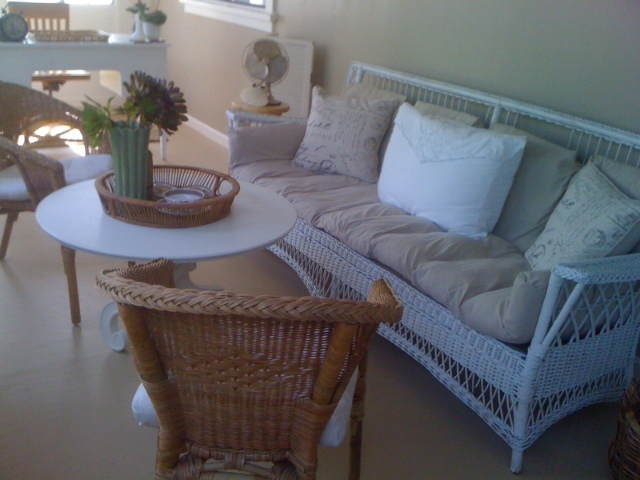 I recently finished putting the final touches to the sunroom in our beach cottage in Oceanside. While the large sunroom was going through renovation, I kept my eyes open for great deals on what I can furnish this narrow but long 8 ft x 50 ft space with. Once the ceiling, walls and floor were painted it was ready for staging. In keeping with my frugal and savvy ways, I either re-purpsosed something I already had by painting it or staining it or I scored the items at yard/garage sales, swap meets, thrift stores, flea markets, estate sales or on Craigslist. Here's a list of the furniture and decor accessories (shown in the photos) plus how much I spent for each item. 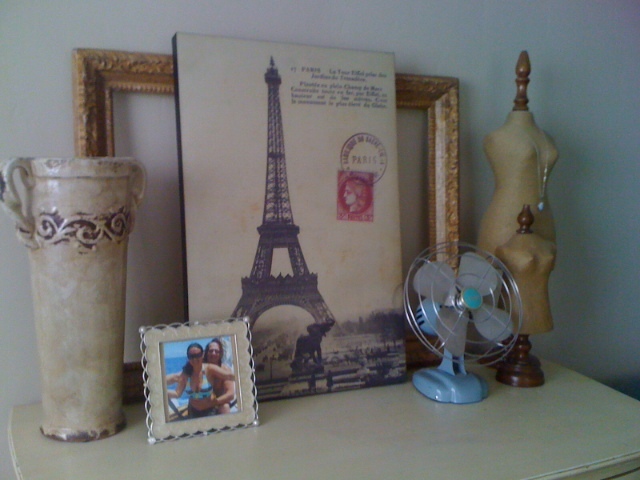 For the past 5 years I've kept my eye out for frugal Parisian items for the home. I've also been researching quaint apartments to stay in when we finally do make it to Paris, which I hope is within the next couple of years. I was considering an apartment in the Latin Quarter. 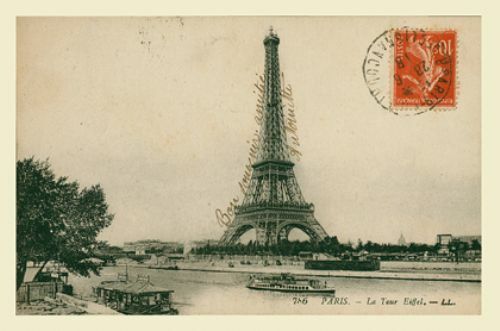 I welcome suggestions and recommendations on which is the best, most centrally located arrondissement for the money. 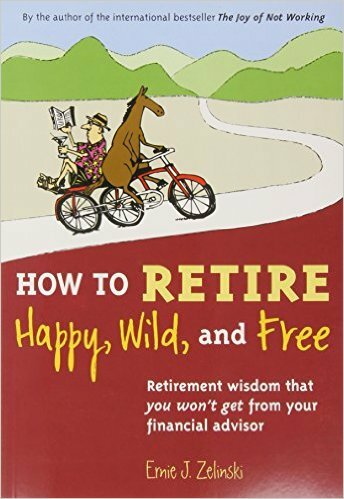 Please send me your recommendations here. 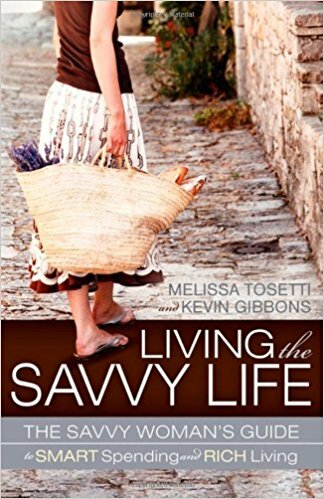 In the meantime, I satisfy my french dreams by surrounding myself with beautiful french inspirations. 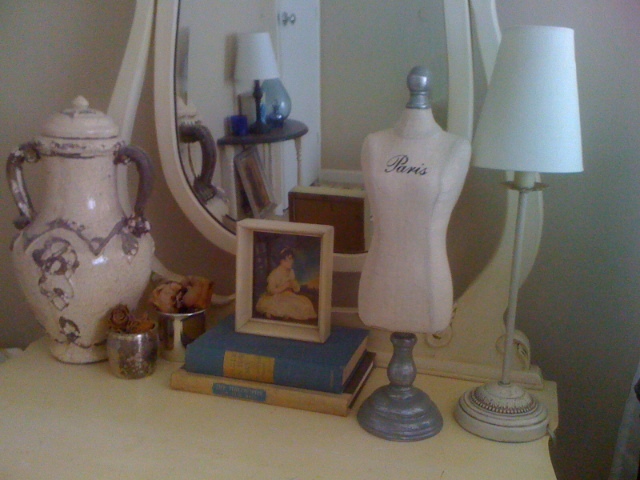 Below are a couple of areas in my home where I did french-inspired yet frugal vignettes that j'aime!